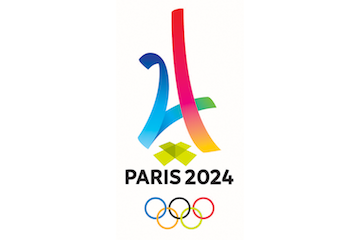 Congratulations to Paris on hosting the Olympics in 2024: it is long overdue and we look forward to being among the crowds cheering in the stadiums! Of course, hosting the Olympics will require a massive investment in infrastructure, which will be delivered through public contracts with private companies. The Paris Olympics in 2024 are estimated to cost nearly US$8 billion, and companies are already eyeing contracts related to infrastructure and other sectors. Mayor Hidalgo has promised that the city will stay under budget. Paris will be among the first hosts to officially pledge to prevent corruption in its management of the Games. Coming on the heels of the allegation-ridden Rio 2016 and the anticipated huge cost overruns of Tokyo 2020, contracts will face significant scrutiny. Paris 2024 will be beyond reproach: central to the city’s success will be ensuring the billions of dollars in play will be spent transparently and fairly. Paris 2024 can also set a new global standard about how to do business and deliver complex projects through an approach called open contracting. This involves providing open, machine-readable data on all the public contracts connected to the Games from their planning through to their completion in an accessible, user-friendly manner so any official, business or citizen can follow their expenditure and delivery. That flow of open data can then be used to take better decisions in public procurement, foster a level playing field among businesses competing for contracts, increase integrity and transparency, and to track service delivery. The Paris host city contract already includes language around anti-corruption, including “establishing and maintaining effective reporting and compliance.” The use of open data can assist with this reporting. We would like to assist, free of charge, the Paris city administration and the International Olympics Committee, as well as Paris’s Olympic Games Organizing Committee (COJO) and Olympic Games Delivery Committee (SOLIDEO), to implement the Open Contracting Data Standard for all of its Paris 2024 contracts. The French government has made a national commitment to use the OCDS in its Open Government National Action Plan and it is already being implemented in a regional pilot in Bretagne. France chairs the Contracting 5, a sharing and learning partnership of Argentina, Colombia, Mexico, UK and Ukraine testing how open data can transform public contracting. In total, more than 30 cities and countries worldwide are already exploring implementation of the OCDS so it is becoming a de facto world standard. We are also working closely with the European Commission and the OCDS aligns well with commitments in the EU’s new Procurement Directives. This open approach supports the tenets of Olympics Agenda 2020 and the spirit of co-construction outlined for Paris 2024. We can also keen to assist in bringing over some of the experiences of the London Olympics team on business engagement along the supply chain to support SMEs, building on the existing cooperation between the mayors and the open data community in both cities. Paris 2024 can be a landmark in integrity, effective delivery and sporting heritage and open contracting can help. French documentation on the standard is here.